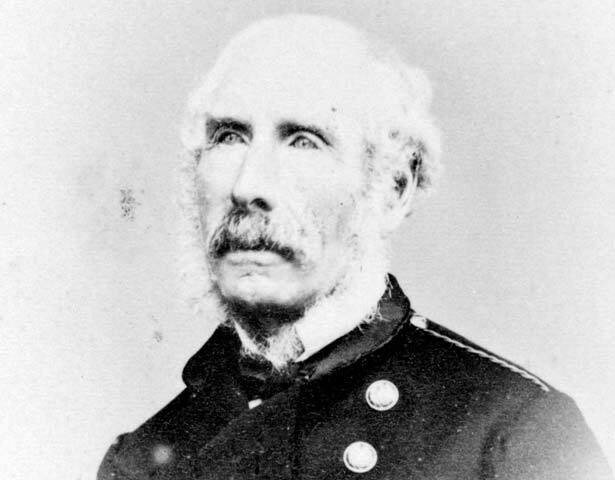 Lieutenant-General Duncan Cameron was commander of the Imperial forces in New Zealand from 1861 to 1865. He was a career soldier who had served with distinction in the Crimean War. By the time he arrived here was considered one of the most accomplished officers in the British Army. The historian James Belich believed Cameron was not only the best European commander to serve in New Zealand but ‘among the best of Victorian generals’. His time in New Zealand would prove to be among the most challenging of his career. Cameron arrived at a time of settler frustration with the lack of progress in the Taranaki War. He was keen 'to have a brush' with Māori but his arrival coincided with the conclusion of a ceasefire agreement. He supported Governor Thomas Gore Browne’s plans to invade Waikato in order to crush the Māori King movement. But this opportunity appeared to have passed when Browne was sacked in mid-1861 and replaced by George Grey. The relationship between Grey and his military commander was strained from the beginning. Grey called off immediate plans for the invasion, prompting Cameron to offer his resignation in early 1862. This was rejected by the War Office. The much-delayed invasion of Waikato occurred in July 1863. Cameron endured his fair share of criticism over the conduct of the campaign, with some accusing him of being ‘slow and uninspired’. He faced similar criticism during the campaign in south Taranaki in 1865 where his Māori opponents apparently referred to him as ‘The Lame Seagull’. Belich, however, believed that Cameron was a good tactician and strategist, and a ‘superb organiser’. His critics, Belich argued, failed to recognise the fighting and tactical abilities of his enemies. Despite open criticism by Grey over his conduct of the south Taranaki campaign in early 1865, Cameron continued to carry out his duties in an efficient and effective manner. He won substantial victories at Nukumaru and Te Ngaio before wisely refusing to attack the modern pā of Weraroa. By now he was critical of what he saw as colonial land-grabbing and the use of Imperial forces to achieve this. These moral doubts, it must be said, came late and coincided with Cameron’s frustration at a much desired ‘decisive victory’. He tendered his resignation for a second time in February 1865 and left New Zealand on 1 August. Belich concluded that Cameron’s influence on New Zealand was ‘profound’. Along with Grey, he had ‘tipped the balance of power’ in favour of Pākehā. It was Cameron and ‘not William Hobson at Waitangi, who sounded the death-knell of Maori independence’. We have 3 events in history, 16 biographies, 13 articles, related to Duncan Cameron.